A study by the Philippine Statistics Authority in Region 10 dated July 30, 2015 noted that there is a significant increase in the construction industry in Northern Mindanao. Cagayan de Oro is the biggest and fastest growing city in Northern Mindanao, this upsurge in the construction industry had resulted in a number of ongoing and newly developed housing subdivisions and condominiums. 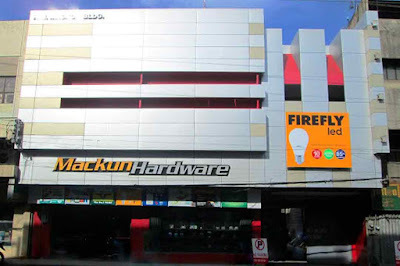 Mackun Hardware is uniquely positioned to take advantage of this new fact of life. As a thriving establishment it sells and distributes products through wholesalers and numerous chain stores in Bukidnon, Misamis Oriental, Iligan and Davao. The company’s presence was also felt through government and private projects awarded to them. It has grown to become one of the leading providers of hardware and construction supply center in the city with its long standing history of efficiency and cost leadership. We take pride in offering quality hardware and construction materials with competitive personnel ready to answer questions and competently handle requirements. We carry various kinds of items sourced out from domestic and foreign suppliers. We carry different kinds of renowned brands with the latest design innovation. Every item is priced reasonably to ensure that customers get the best value for their money. Exclusivity contract to recognized suppliers.